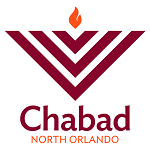 Sukkah Building 5777 Shofar Making 2016 Lag Ba'Omer 5776-2016 Children's Model Seder & Chametz Search/Burn Shalom Families Matzah Making Purim in the Shtetl Chanukah Lake Mary 2015 Chanukah Craft at Home Depot 2015 Sukkos 2015 Real Shofar Making 2015! If you found it difficult to attend any of the activities, is there anything we could do to make it easier for you to attend? Are there other ways you would like to be involved in Chabad Hebrew School? What else would you like to know about your child’s progress? How has your child benefited from his/her experience at Chabad Hebrew School? What would you like improved and/or added to our program? Registration is now open for the fall! We look forward to a year of fun hands on and productive learning! All of our Alef Champions who are joining us for Hebrew School this year! Experience the liberation and freedom of Passover.